One of the biggest surprises of this fall is the adoption by Apple of the Qi inductive wireless charging standard for the new iPhones. Yes, it was only a matter of time until Apple implemented some sort of wireless charging, but they opted out for an already existing standard instead of pushing their own, in order to collect royalties from the sold accessories. This means you can use existing Qi chargers and you don't have to wait for the "AirPower" charger Apple will eventually release in 2018. What Qi charger to choose that will match your $1000 device? Given the fact that Apple join the party a bit late, there are dozens of wireless chargers available right now, for your choosing. But if you spend that much dough on your new iPhone, you might as well get a charger with a bit of style, something like Azpen D100 brings to the table. Basically, Azpen built a 3-in-1 device : a charger (both wired and wireless) - and a HI-FI Bluetooth sound system. But the device packs some other interesting functions - LED Light/Lamp, phone and music controls, wi-fi, MicroSD. Iphones can be charged at up to 7.5 Watts, and the current standard is pushing for twice that, so with the DockAll charging might take a bit longer. 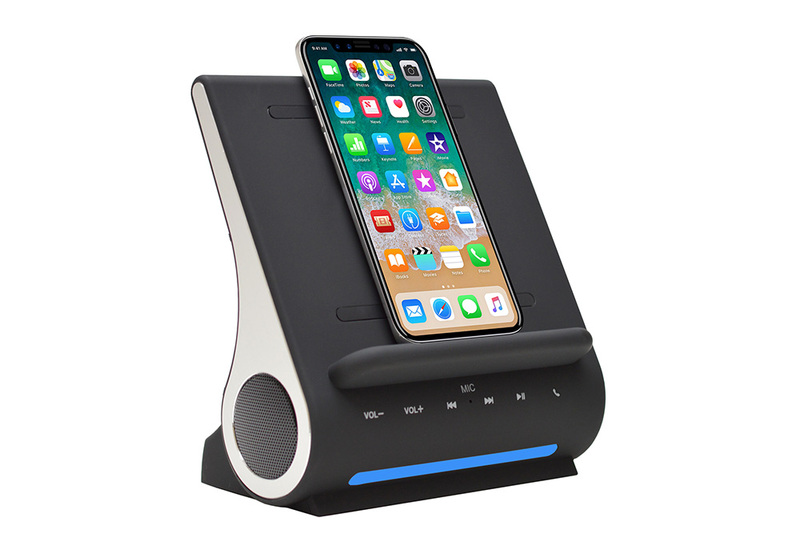 But Azpen wants you to put the phone on the dock when you get home, play some music while you finish your chores, maybe answer a phone call using the built-in microphone or see the news on the phone's screen. 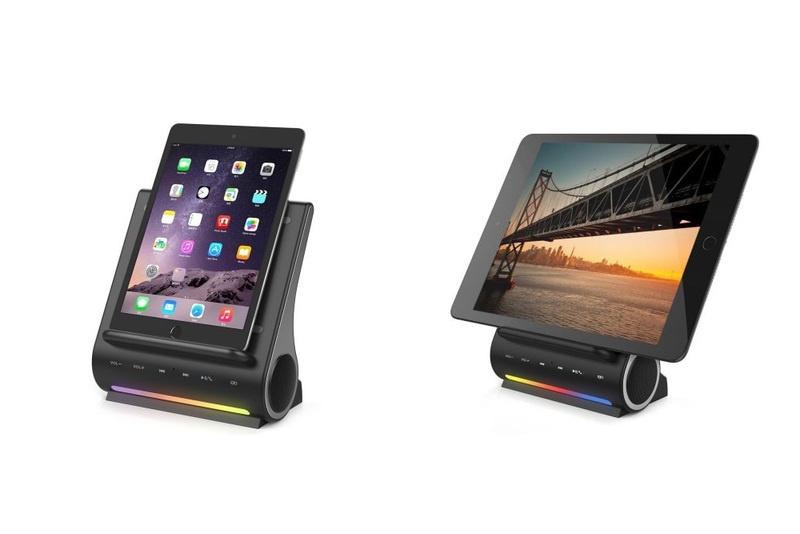 The point is, the phone will stay enough on the docking station to be fully charged. Of course, you are not limited to the latest iPhones, it can wirelessly charge any phone and can accomodate tablets as well (up to 13 inch). The device can be also used without any phone or tablet - that's where the wi-fi connection and the SD card slot come handy. Azpen D100 is already available in many places, like BestBuy, Amazon or Walmart. Or you can order it now from GearBest - if you do so, you can use the coupon code GBCNA to drop the price - 14% off.